The amount of customer data available in our new digital world means there’s a lot of very targeted, relevant messaging being thrown at your average consumer every day. The problem is, with every company having access to the same customer insights, all products, brands and offers begin to look alike. Often the one thing companies can rely on to set them apart is the service experience they offer. How people feel about their interactions with your business can bring the sales - or quickly lose them forever. 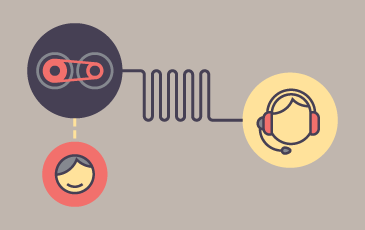 So how can you ensure that your team is offering the best possible service experience? What if the negativity has set in? Don't have time to read the whole article? Providing first class customer experience is a critical objective to include in a business plan, but expecting to deliver an exceptional service experience without strong employee engagement is like trying to win the Grand Prix with budget petrol in the tank and will leave you with your competitors doing laps around you. Your customer’s perception of your service is affected by any and every touchpoint where a customer interacts with your business, from sales to accounts to support. Focusing on the service experience needs to become part of the DNA of the business, and that starts considering the experience of your staff, particularly those who have the most face time with customers. In brand strategy and business planning, the customer journey is spoken about a lot. Generally, the journey starts with the first moment a customer interacts with your brand. But perhaps the journey should be a bit longer - perhaps it needs to begin with cultivating an internal environment of positive energy and motivation, so that from the very first touchpoint your customers have, there is an engaged employee. Studies show that happy employees mean happy customers and deliver higher profit, so focusing on the mindset of your employees is critical to hitting your targets. Imagine you are a contact centre agent. You are stuffed into an office with a ton of other people. You’re given access to a phone and some old CRM software. You’re hungry and you need fresh air. Your manager doesn’t say thank you. No one asks how you’re doing (ever). The workplace negativity coupled with customer complaints is just too much to bear. You hate going to work. And you are supposed to be the face of your company to the customer. That is one unhappy face. That is one unhappy customer." Every employee should consider the customer experience, but it is most critical at the coal face - the contact centre, where customers can be lost on the back of a less than satisfactory conversation. Call centre operators are bombarded with negativity every day - customers don’t tend to call to say how happy they are with the state of play. Dealing with constant negativity can be all-encompassing and very damaging to an employee’s psyche without the right management. The contact centre can also play a strategic role for the business in identifying the early signs of those bigger, headache-inducing, blood pressure catapulting problems, but only if staff are encouraged to look for these signals, and engaged enough to share them. For these reasons it’s essential you have a good understanding of your staff, and that they have the right mindset. As a contact centre manager, you need to have a good idea of what makes the people you hire tick. Employee engagement means staff who care about what they do, and are motivated to achieve a result, for themselves and for the business. 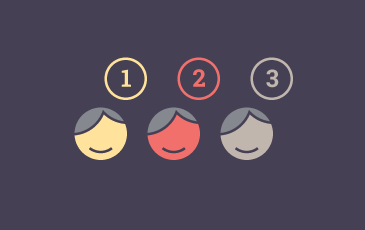 It might sound obvious, but an important part of this is recruiting the right type of people. The decision to appoint a new team member needs to be made on more than how their experience looks on paper and how they answer set questions in an interview environment. You need to understand how they are motivated, what is important to them and how they deal when the pressure is on. This comes from real conversations, not reading off a piece of paper. Apply a little pressure, see how they react. Get them to talk to you about something they love doing, something that really makes their eyes light up, then compare this to how they talk about their previous achievements. To recruit effectively you need the broadest possible pool to recruit from, so think laterally. If you’re recruiting from a pool of people, for example, who only can work set hours or days onsite, you might be missing out on top notch employees who simply need a bit of flexibility in their hours or location. Remember, the right technology can facilitate work from almost anywhere with an internet connection. It sounds simple, but in order for an organisation to be customer-centric across every touchpoint, everyone in the business needs to not only understand purpose of the change that is being demanded, but specifically what will be required of them. Statements like ‘great service’ or ‘constant innovation’ are important to help employees understand the strategic intent and direction of the business. But your people need to know how that translates to their day to day actions and habits so that performance can measure up to the promise. Call centre agents are often tethered to their station which can reinforce the sense of isolation. To ensure they feel engaged and part of the bigger whole, it’s more important than ever to incorporate a social connection strategy into your workforce management plan. It doesn’t have to be hard. Walk around and have spontaneous conversations that aren’t work related. Enforce break times where staff are encouraged to sit in a relaxing space and chat. Don’t force socialising on anyone, or worse, ‘team building’ (shudder) - a cup of tea and a chin wag each week, or a spontaneous celebration of someone’s birthday at the pub at lunch can help your team feel more connected to one another. 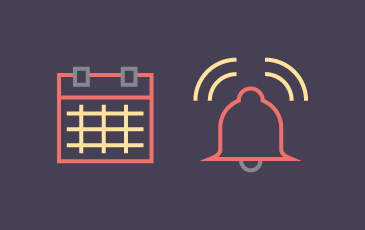 Looking for ways to motivate your team? 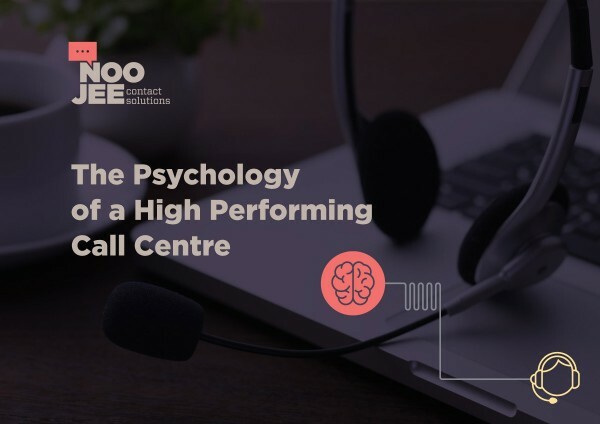 Get your guide to the psychology of a high performing call centre now. You need to start by getting a very good understanding of what’s causing the negativity, or lack of engagement. Talk to your team. Put everything on the table, get it all out in the open, in a safe, non-judgemental environment. Talk to them individually, and as a group. What do they like? What don’t they like? What’s troubling them? Now’s the time to have open, honest talks and discussions with your staff about where you want the team and business to go, and what you need from them. Acknowledge how they are feeling and let them know you are looking at improving yourself as a manager, too. This is not a finger pointing exercise, you are inspiring change. It will take trust on both sides, which is a crucial element to a successful relationship (professional and personal). Most humans do not do well with ambiguity, particularly when it comes to their own performance. Get clear with your expectations, and get measureable. This starts with discussing with your team (individually and collectively) what it is you want to achieve. For example, a customer satisfaction score increase of 10% in 3 months. Ask your team what they think about that, is it do-able? If not, why not? Listen to them, address what needs to be addressed and find that happy place between a challenge and the impossible. As call centre managers we’re often immersed in the numbers- are we hitting that metric, this KPI, reaching that sales target? 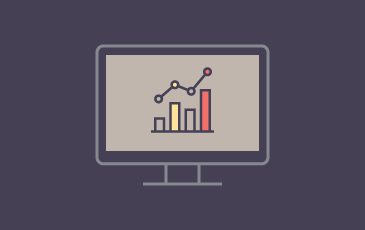 Metrics are important, but won’t help your business stand out in the market. Rising above the clutter means delivering customer experience that is on point, consistently. Price, product and branding is easily replicated - customer experience isn’t. Shift your thinking from the numbers to the people. Your customer experience strategy simply cannot fire if employee engagement isn’t there - and if your customer experience is not strong then what gives customers a reason to choose you? Take a good, honest look at yourself and your team. Look at your turnover rates and your recruitment processes. If change is required, then don’t be afraid to jump in and have the (sometimes awkward) conversations, as reigniting employee engagement is a job done through communication, honesty and transparency. When you have a group of individuals happy to be at work, motivated to achieve, then you have a cohesive team that can bring your customer experience to where you need it to be.